Effective writing of funding proposals is always been a meticulous and intricate act, an intellectual challenge! More you cook your words within the script, more it gets potency. Actually, effectiveness is either the denomination of doing right things or discarding the surplus. To whom, one is to write? The impression of your proposal, analysis based on facts, planning & management of resources and commitment to the quality workout ensure the life of the relationship between writer and donor. Note: Without the appropriate idea, necessary research and suitable plan, one can’t start writing the funding proposal. Visualize a clear image of the reasons you are going to write for. Ask yourself a few questions: whether you really need the funds or not; will you justify the funds; how much amount you actually need; how you’ll convince the donor (foundation/company/person) to provide you with the necessary amount and the basis for your relationship with the donor. After self-assessment, you’re well oriented about what you’re going to do, writing of financial proposal in an effective way. Increases the overall impact of your project/business. Less affected by policy issues. Offers a lot of money. A lot of processing time. The application procedure is ambiguous and much complex. Invests in the local project. Personal PR matters to get funds. No personal links result in no gain. Provides a massive sum of money. Very sensitive to anything that may alienate the other stakeholders. Wants direct representation on board. Forms a relationship and commitment to the organization. Staff is not professional up to the mark. Well defined and clear process to apply. Priorities may change as per time. Processing time is too long. You’re writing the proposal for technical experts or decision makers. So, the proposal must be persuasive and technically well compiled. You’ve already gone through the donors but the selection of the most suitable donor matters a lot. Name of donor, address, telephone, fax number and email address. Goals, missions and concerns of the donor. Amount of grant, the donor may provide you. Limitations and Guidance announced by the donor. Deadlines provided by the donors for the consideration. Authentic information, knowledge and understanding regarding you. Credible evidence about the success of your project in which you’re going to invest the money. Sort of problems in the specified region you may face in promoting the donor. The overall goal and mission of the organization. Logo of the organization must display a visible and meaningful identity. The complete biography i.e. competency, experience and community links of your staff members whether professional or non-professional. It also indicates the human resources of an organization. Backbones of your organization going to work on the project. Strengths: Committed and experienced staff, professional working space and outcomes of your organization. Weaknesses: Conflicts and deficiency in technological skills. Opportunities: What kind of works the organization can perform effectively. Threats: Variation in the focus of donor. Professional and technical competence in working fields. Previous successful strategies and good financial management skills. Reliable management competence with regard to people and project. Domicile i.e. country, region and details of the area. The economic state of the country. National conflicts and issues of the region. The overall objective of the organization must provide an accumulative goal. The specified objective must provide an immediate goal to the business. It helps in clarifying your agenda and strategy for the development of the goal. It also measures the possibility of success in the project or business. It develops the framework to compile the project process. Decide the venue for the project or business. Announce the timeframe i.e. starting and ending dates. Setup a plan for monitoring of the project development. Evaluate the whole mentioned process. Introduce the timely improvement (if necessary). Name of designated person who is being expected to read the proposal. The title must reflect the essence of the whole business or project in the minimum possible words. It must not be so long. Summary Page It must display the summary of the proposal. Page of Content Outline Enlist all the main components of your proposal and do numbering as per their pages It aids the writer to find out the content of interest without the wastage of time. It costs positive impression on the reader as well. Main body of the Proposal Here is the use of word CROP – Context, Relevance, Objectives and Process. Context as discussed above. It should not more than a page. Relevance is the specification of project or business according to the mind of the donor. It’s must be half a page at least. Objectives as stated in above section. Additionally, you have to clarify your beneficiaries. It should be on one page. Context should be short enough and based on facts and figures. Explain the way of finding the solution of a question related to your project and how you’ll identify the opportunities. Mention the general and specified objectives. State the indented process for the whole activity. Moreover, you can also direct the reader towards the appendices for the further details. Discuss both the degree of flexibility and sustainability of project or business in case of addressing some problems from both ends. Discussion and Conclusion It involves the discussion and conclusion regarding the question – why do you need money? Must address the financial details and required the budget. Conclude in an effective way to make a good impression. The specific details of the budget must be mentioned in appendices. Appendices It is comprised of the detail technical descriptions like the timetable, annual reports, financial statement and detail of budget etc. This is the place where you provide the additional, essential and comprehensive details without making the proposal so long. Bibliography/References In this section, mention all the references related to business or project. All the references should be in proper order as per their usage in the text. Enlist all the credible and reliable references for the donors to restore trust. Its pivotal purpose is to make you well-guided about the order of sections of the proposal. In other words, it will aid you in making funding proposal structurally correct and credible. Develop your contact with a person to whom you’re sending the funding proposal. He/she is supposed to respond back. The minimum crisis should be related. Identify those who are also working in your concerning field. Let expert amend your proposal. Pitch of tone should be impressive. Bake your words within the proposal so that, the proposal may not exceed 8 to 10 pages as the total. Expose your sense of responsibility and care. 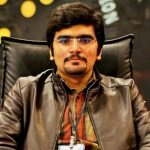 Try to compile a single generic proposal for all kind of funding request. Because it varies according to the nature of business or project. Use a lot of jargons. Do sugar coating the budget. Hiding the important information which is expecting from the donor. Attachment of many documents. It offends the reader and he/she mostly closes the proposal before going into the depth of the proposal. 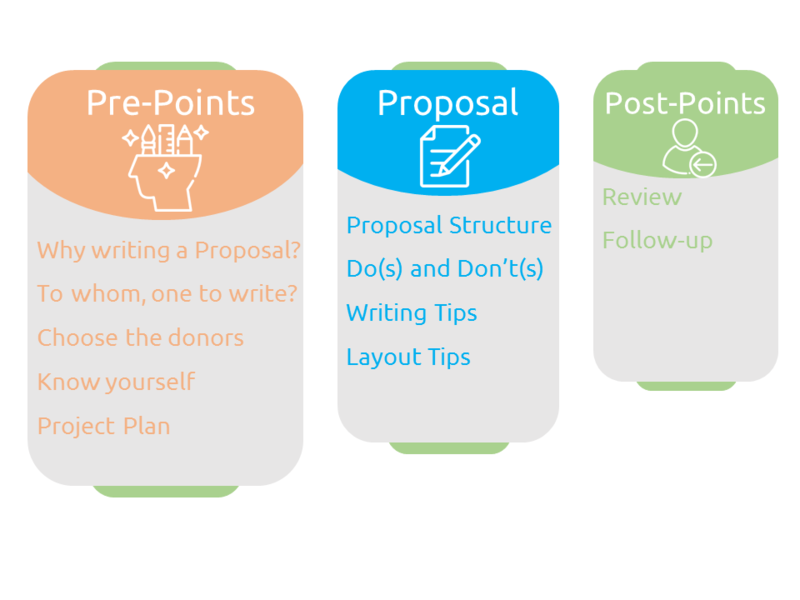 Make the proposal is contrary to the donor’s specification or merit criteria. Useful tips can be classified into two main categories: Writing tips and Layout tips. We’ll make you able to go through both of these. Try to write for a non-technical reader. Construct the sentence in an active way than a passive way. Your proposal must be grammatically true. There should be no spelling mistake. Revise and rewrite as per situation (if necessary). Always use the understandable font like Arial. Present your text in headings and subheadings. Highlight or bold the important notes. Place the nominal gap at edges, among the lines and between the words. Text colour should be black. Do numbering of the pages. Bind the document in the correct order. Till yet, you’ve structured the financial proposal for your business or project. Is it the end? Definitely, No! It’s the beginning. After submitting the proposal, two types of follow up can be observed at the professional level: Follow up the proposal and follow up grant. It forms the strong basis for the good customer-client relationship. While going for the follow-up, the writer must be pleasant, polite and persuasive enough to make the reader comfortable to read. To check whether the proposal is meeting the selection criteria or not. To know whether it is accepted or rejected. When will final notice be issued about the proposal? To discover the causes of acceptance or rejection. To pay regards and thanks for fruitful response by the donor. To keep the bilateral communication open at all times. To update the donor about the usage of funds. To report the donor about the recent progress. To ensure them that funds are being utilized as mentioned in the proposal. To invite the donor to your event as your honourable guest. It really works! To make them feel reliable.